Ingram Micro will host more than 1200 channel leaders from across Asia Pacific in August, as part of a newly launched regional conference held in Singapore. Under the banner of Ingram Micro One, the event will play host to partners from Australia, New Zealand, Singapore, Malaysia, Indonesia, Phillipines and Hong Kong, alongside Vietnam, Cambodia, Thailand, Laos, Myanmar, India and China. Partners will be joined by a line-up of leading vendor sponsors, including Microsoft, VMware, Cisco, Dell EMC and Hewlett Packard Enterprise. Other key vendors include HP, IBM, Intel and Red Hat, backed up by specialised sessions on cloud, Internet of Things (IoT), mobility, converged infrastructure and technology-as-a-service. “I am excited to share with you the accompanying details regarding what will be a truly exceptional event in August 2018,” said Mike Zilis, executive vice president of Asia Pacific at Ingram Micro. From a partner standpoint, the event will span the entire channel ecosystem across the region, including resellers, system integrators and managed service providers, alongside independent software vendors, born-in-the-cloud players and technology specialists. 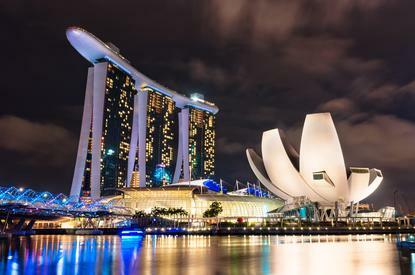 Set for 5-8 August at Marina Bay Sands, the three-day conference incorporates 39 showcase booths, 30 roundtable discussions and 14 country-cluster meetings. “We see this as a one of a kind opportunity to bring together a large and diverse partner community across the Asia Pacific region, with the common goal of the exchange of knowledge," Zilis added. The regional event aligns to the distributor’s US-based conference, which is designed to allow partners and vendors to share best practices and channel strategies.